Some sources say that Logan was born in Lochgelly, Fife, but birth records show he was born in Glasgow. Perhaps his family then moved to Lochgelly because he began his football with local side Glencraig Celtic before joining nearby Scottish League club Cowdenbeath. His career was then interrupted by the outbreak of war, during which he served with the Royal Army Service Corps. 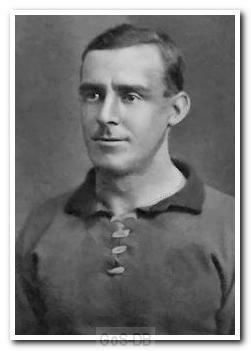 In August 1919 he signed for Argyle and became the first choice right-half for much of the next six seasons, being one of the starting XI for Argyle’s debut Football League fixture against Norwich City and then maintaining a near ever-present record in the following two seasons. Both were notable achievements given the tremendous competition in the squad at half-back at the time. Logan was not the biggest but he possessed boundless enthusiasm, excellent ball control and a fierce shot. It was said that he was better when given an attacking role than when asked to focus on his defensive duties. The club handbook of 1924-25 stated that he was "a thorough ninety minute player. A handy player worth a place in any side, I almost said in any position." 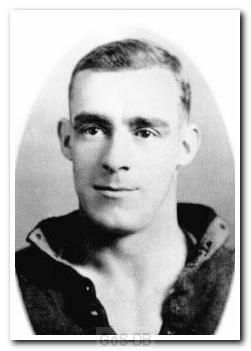 The arrival of Norman Mackay saw Logan eventually lose his place in the team, and when he left in 1929 to join Yeovil & Petters United, his final club, the handbook paid tribute to him thus: "The most noteworthy departure is that of Jimmy Logan. A thorough sportsman and a grand old servant of the club, the absence of Jimmy will be deplored by his many admirers."